Both my children have spent their early weeks and months in a Neonatal Intensive Care Unit. These are, quite simply, extraordinary places. Premature, fragile human beings fighting for their very existence. Parents huddled next to incubators, manoeuvring themselves around the myriad of cables, monitors and alarms just to stroke a jaundiced cheek or feel the grasp of a tiny finger. Dreams and expectations of what having a baby would be like are left outside the door. Discarded, like a broken umbrella. New dreams have to be found and clung to. Hope takes on an entirely new meaning. It’s hard to think of other places that contain quite as much emotional energy under one roof. Deeply personal conversations taking place in hushed voices in the vain hope that the family sitting at the next cot won’t hear. Personal space is not something you can expect in a NICU. Better get used to the fact that everyone around you will soon know your pregnancy & birth story, what you ate for dinner last night and what came in the post this morning, very quickly! For the parents of these tiny guests, the units represent a place of safety and security. For those who spend longer than a few days here they become home. Familiar. Comforting even. Routines take on a new face. Doctors rounds, 2, 3 or 4 hourly feeds. ‘Cares’ is no longer just an emotion; Aprons on, gloves at the ready. Nappies to change, tiny mouths swabbed, temperatures taken. NICU nurses become surrogate mums (or dads) to our little ones. A shoulder to cry on (frequently in my case) or someone to laugh with in the darkest of moments. Of course, we long to be in our real homes. That is where we left the dream. That is where we can start living again. But for now, this is home. This is where we must stay, whether we like it or not. Make the best of it. To begin with, we don’t see anyone else in the room. It’s like we are wearing blinkers. Our baby is all that matters. Not because we don’t care about others, but because the whole terrifying experience of finding ourselves in this place is almost too much to bear. But, after a while, we become accustomed to our surroundings. Part of the furniture even. We know all its ins and outs. We are the residents. We are here for the long haul. Don’t complain. Just get on with it. We can almost forget our initial fear and bewilderment. So, when an angry father of a new born baby boy came into our well-ordered and familiar ward, demanding instant answers from the overworked nurses I took offence. Ignoring everyone else on the ward, he berated the nurses with his questions. How long would his son be here? Why was he here? Why couldn’t he be sent back to the post natal ward to be with his recovering mother? All reasonable questions of course, but delivered far too aggressively. The nurses kept their cool, gently but firmly answering his persistent questions. The baby just needed a few days in NICU, nothing more. He would probably be home by the weekend. From the seclusion of the space beside my baby’s cot, I raged. Silently of course. How dare this man come in here and create such a fuss. Could he not see that there were others besides him and his baby in the room? No, he couldn’t. Any more than I could on that first visit. World War three could have broken out in the next room and I wouldn’t have cared the day we arrived. My baby was all that mattered. Didn’t he know that some of us had been here for weeks? Months even. At least his baby would be home in a few short days. Able to lead a normal life. Mine, with her extra chromosome, faced a very different future. Home by the weekend? I should be so lucky. I mocked this father each time he appeared. Inwardly. Especially the time he put his baby back onto the tilted mattress, said his goodbyes and left for a cigarette. As he left, I glanced across to the incubator. The baby’s head now where its feet should be. The nurses’ raised their eyebrows as they quickly rectified his error and turned the baby up the right way. How we laughed. And yet this little baby was nothing to do with me. Just like all the others. That’s not to say I didn’t care about them. Of course I cared. It’s just that they were literally, as well as legally, none of my business. Each time the doctors did their rounds we were reminded of that fact. Parents would reluctantly trundle out of the ward to the family room, waiting their turn to speak with the doctor, so as to protect patient confidentiality. Each one impatient to return to their cot side vigil. A NICU is a place where the close proximity of fragile human existence and parental pain cannot be ignored. It’s in your face. All the time. And, one day, this particular father’s pain got well and truly in mine. We sat on opposite sides of the family room. Him with his hang ups on one side and I with my opinions on the other. Never the twain shall meet. Except this wasn’t like real life. This wasn’t a library or a post office or some other public place where we could ignore each other and get on with our own lives. Normal life was suspended. This was a NICU and we had something in common, him and me. The doctors were doing their rounds. It was a quiet morning and we were the only parents in the room. I picked up a magazine. He spoke. How long have you been here? He asked. Mentally rubbing my hands with glee I answered him. Seven weeks. Tough isn’t it? He said. So how long do you think your little boy will be here? I asked. Of course I knew the answer but I was still trying to score points in my ridiculous game. Not long, I hope. He answered. Then, eyes glazing over, he told me. His wife lay recovering from a c section somewhere on the floor above. Too unwell to be with her baby. Not unusual, painful as it is, it happens. The baby was doing ok but needed some extra support. He’d gone a funny colour after birth and the doctors wanted to keep a close eye on him. I wasn’t prepared for what followed. This little baby boy was his second child. He had buried his first. Just under a year ago. Sudden death*. In those few moments alone in the waiting room I saw a completely different man from the one I had judged a day or so before. Not a selfish, arrogant man, bullying the staff and ignoring those around him. But a frightened, terrified man, scared that history was repeating itself and that he would be forced to bury a second child. A man who was trying desperately to support his wife, whose baby was not where it should be….in her arms. Again. Instead of raging at him, silently judging him from the side of the cot, I now prayed for him, his wife and his child. Ashamed. The very least I could do. 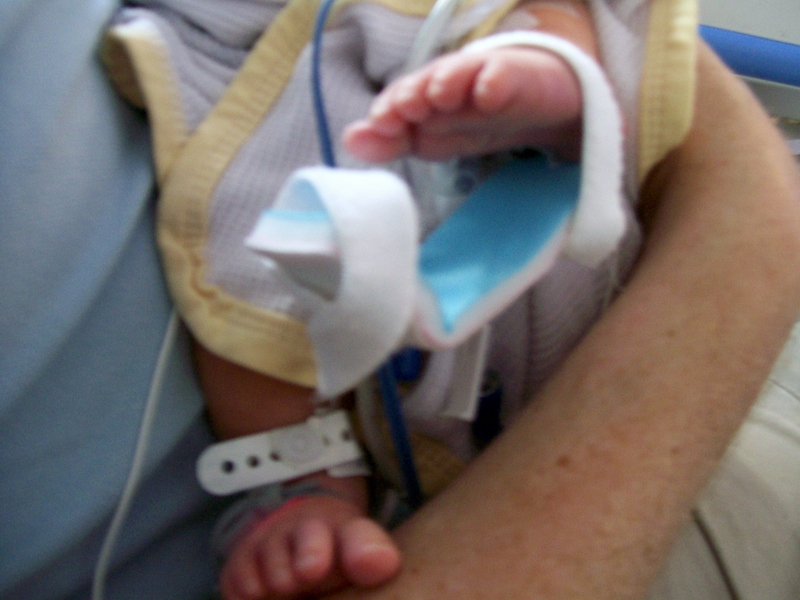 Our time spent in NICU, was, on occasions, unbearably hard. An enormous strain on the whole family. Yet it took this man’s story to make me realise that, however tough life gets, there is always a need and usually an opportunity to reach out to others. I didn’t have a monopoly on pain or hardship back then and I still don’t now. The parents who have the most demands on their time in caring for their sick or disabled child are often the ones who are first to reach out to others in similar situations. They never minimise another’s pain or difficulty, though it may be less than their own. And, I am privileged to count as friends those who have even lost babies and children of their own; yet still they reach out and help me in so many ways. Compassionate and selfless. Alert to the struggles of those around them, even though their own pain and grief goes beyond anything I have had to bear. These are the “amazing people” my GP told me I would meet, as I struggled to come to terms with Hazel’s condition back then. After a few days, the baby was well enough to return to his mother and leave hospital. Happy ending? I think so. I hope so. But it’s not for me to judge. *Saying Goodbye is a charity offering Support & Services, for anyone who has lost a baby in pregnancy, at birth or in early years. 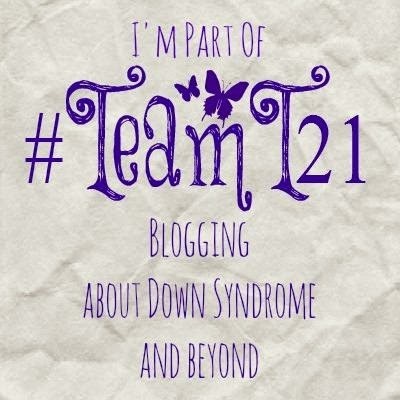 Categories: Uncategorized | Tags: Babyloss, Down Syndrome, Down's Syndrome, NICU | Permalink.